Axon delivers proactive IT/PC/Desktop/Apple/Network Support and Maintenance Services. Designed to reduce your costs, increase your profits and mitigate your business risks, We play a role of your IT Business Partner, allowing you to focus on running your business, not your technology. 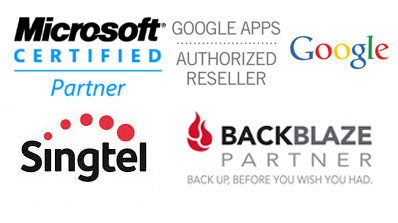 We believe in taking the no-nonsense approach in dealing with IT vendors who have no respect for business downtime. We will go any distance to ensure the problems are rectified and put an end to any Vendors who uses Jargons to cover up, Refer to our Testimonials. All of us have experienced one of the following nightmares in dealing with IT company or vendor. Talk to us - We will apply the Axon X factor support..
You lost your id and password for domain or hosting, can't renew...talk to us, we will guide you for FREE. You receive email about your company domain or email Trademark and asking you pay another scam. You receive email Get your website number 1 on Google, after you pay you are scratching your head. Normally most people ignore this as the amount is small, if you multiply even USD1 x 5 million users the picture is clear. Basically you are paying to ensure no downtime but you have no clue what is happening as issue are repeated over and over again. The bottom line is simple, similar to car workshops, where you can find many dishonest workshops where instead of fixing the issue, they work out a temporary solution which enables them to make more money on repeated visits. I have worked with Amit for 14 years and I am deeply impressed with his company's impeccable professionalism, highest level of integrity and unparalleled customer service . Spa Synergy has been very pleased to work with Axon and Amit for the past year of their appointment. we rely so much on our computers. in needs of IT and web site solutions. It is not only a rarity to come across such a kind, dedicated and hard-working team, but also to enjoy working alongside with the entire team was such a pleasure due to their jovial and light-hearted personalities. From start to finish, they put in their best efforts. In fact, sometimes as early as6am I would receive an email with the changes done to the site. I would definitely suggest Axon for their home IT Services, Website Development and SEO push. As a meticulous person by nature, they worked so very hard to fulfill my Website and SEO needs. My husband has been extremely happy with their IT Services as well. Thanks to Axon,I can happily say within 2 weeks- my website was successfully up and running." I'd like to thank Aaron for all his help, fixing the virus in our pc and reformatting and reinstalling everything again. He gave wonderful service, is professional and it is a real pleasure to work with someone with that much diligence and initiative. Much appreciated and thanks again. I can't thank you enough! I really appreciate all your support and advise and we will continue with Axon for many more years to come. Your mode of support and understanding of business implications and downtime via sms, whatsapp and email is unbelievable. 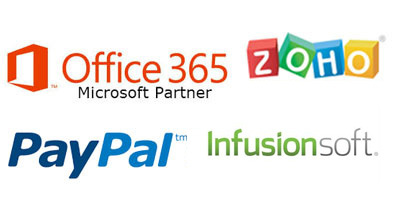 We provide Office 365 Migration Services, Google Apps Migration Server, Zoho Email Migration services.